With the wedding season in full swing, I am sure you all must be looking out for latest hairstyles to flaunt on your wedding day. Moreover, with weddings, there are additional occasions to celebrate as well. There are dinners, rehearsals, and engagement, and the occasions happening before and after the big day. 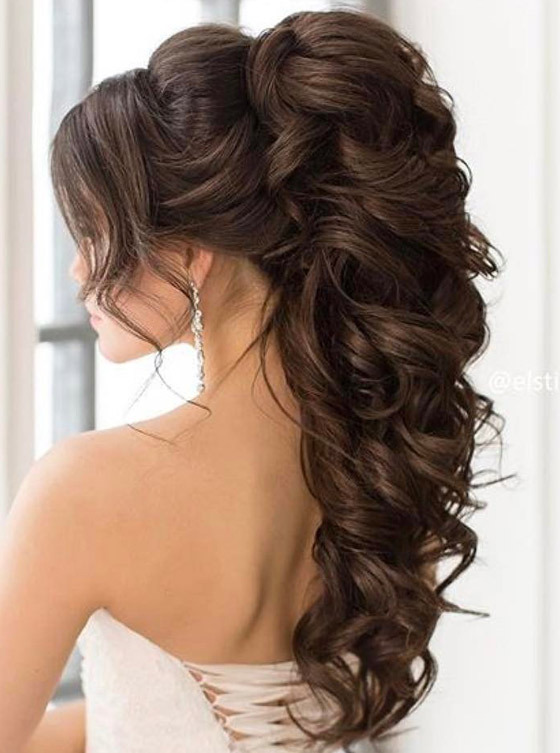 Here are some bridal hairdos for long hair that you can try. 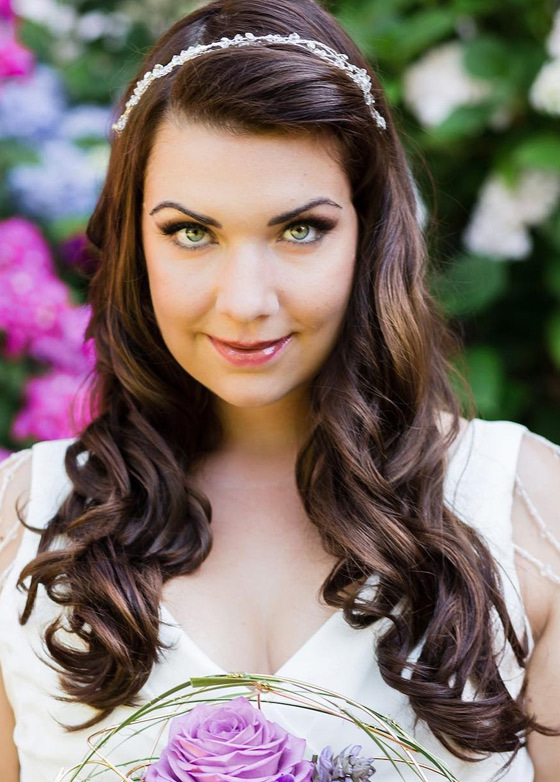 Here’s a super relaxed hairstyle that will go with the chilled out vibes of your small outdoor wedding. Just spritz on sea salt spray all over your hair to give it some messy texture and braid it loosely. Secure the end of your braid with a hair elastic. Loosen your hair to give it a shaggy texture and pull out wisps of hair from the front to frame your face. This chic and cute messy braid will beautifully complement your embellished wedding gown. Just because it’s your wedding doesn’t mean that you can’t show off your quirky side. And don’t worry, I don’t really expect you to color your hair right before your wedding. (Though if you want to, more power to you!). 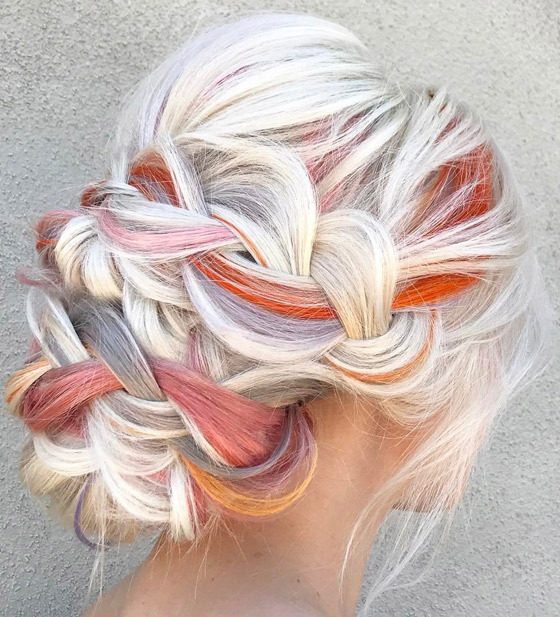 Just get your hands on some colorful hair chalks and go crazy streaking your hair and setting the colors in with hairspray. Then, divide your hair horizontally into 2 sections. Horizontally Dutch braid the top section by adding hair into the braid only from the top of your head and secure the ends with a hair elastic. Braid the bottom section of hair and secure it with a hair elastic as well. Roll the lower braid into a bun and pin it down with bobby pins. Wrap the tail of the Dutch braid around the circumference of the low bun. Tug apart and loosen the braids to give your hair a softer look. Pull out flyaways from the front to frame your face and finish off the look. This hairstyle will look best on a flowy and flirty bohemian style wedding dress. If you thought ponytails are only for college or lazy days at home, you thought wrong. Ponytails have been getting a (much appreciated) makeover lately and are being sported by brides all around the world. Leave your bangs out to frame your face and insert a bumpit under the hair at the crown of your head. Tie all your hair into a high ponytail. Now, bust out your 2 inch curling iron and curl all the hair in your ponytail from roots to ends. Softly curl the lower ends of your bangs as well and set all the curls in place with hairspray. 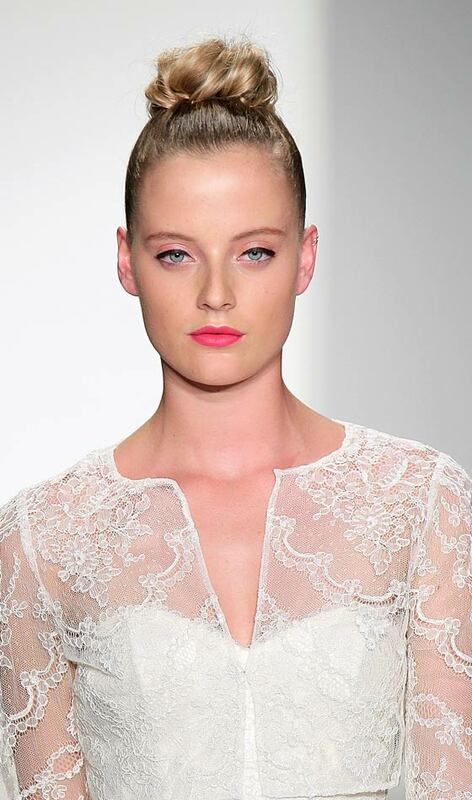 This high ponytail look is perfect to be paired with an off-shoulder, tight bodice wedding dress. 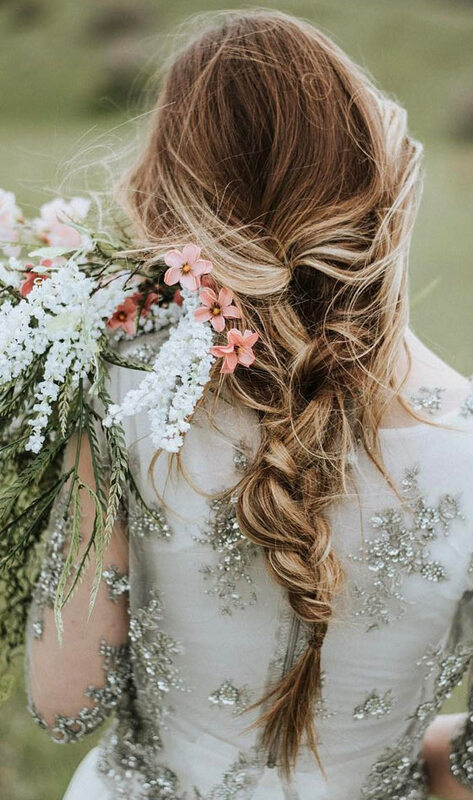 If you’re having a relaxed outdoor wedding with minimalist decor and a small guest list, here’s a hairstyle that will fit perfectly with your vision. Just curl the lower half of your hair with a 1.5 inch curling iron and part it to one side. Put on a fancy silver (or gold, whatever tickles your fancies) metal headband in a floral or leafy pattern to go with the floral vibe of your wedding. This look is best paired with a simple sleeveless wedding gown. 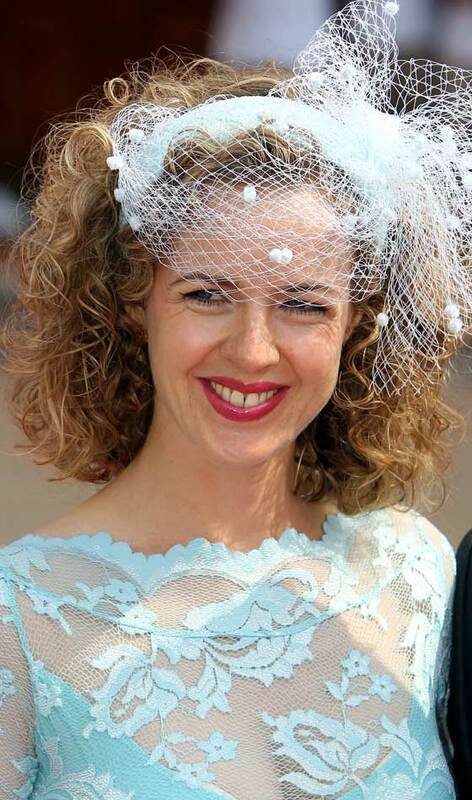 If you’re going for a more elegant but youthful look with your wedding style, try out this hairstyle for size. Curl your hair with a 1.5 inch curling iron and run a wide toothed comb through them to give them a relaxed wavy texture. Part your hair on one side. From the side with more hair, pick up a 4 inch section of hair and split it into two. Fishtail braid these two sections by alternately picking up a thin section of hair from the outside of one section and adding it to the inside of the other section. Fishtail braid right till the end and secure it with a hair elastic. Place the braid across the top of your head and pin it at the back with some bobby pins. 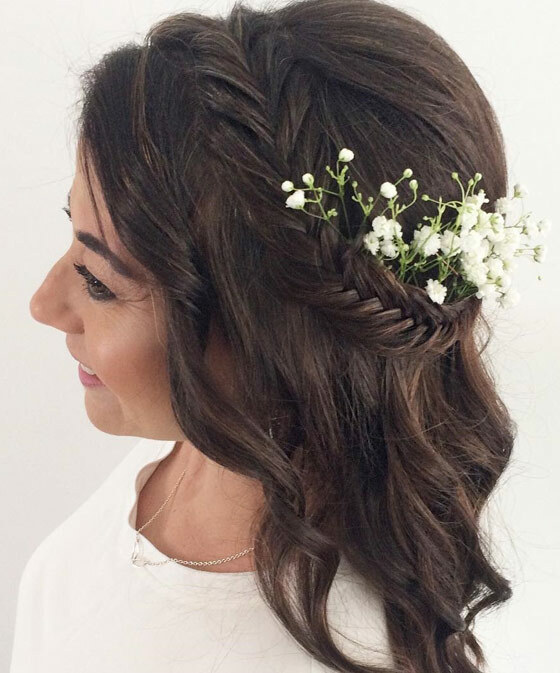 Insert some stems of Baby’s breath into your braid to give it a more earthy and ethereal look. Get your curling rods for a fine job! Curls are definitely topping the hairstyle charts at the moment. Especially with long hair, it looks awesome when it is curled. Follow the below mentioned steps to get perfect curls. Divide your hair into 1-inch sections, apply some mousse, and curl the section using a curling rod (the size of the curl you want would depend on the size of the curling barrel).Let your hair cool down for a minute, and spray some hair spray to fix the curl.Then, grab some sections around the crown, and pin them to the center of the head, around the level of the ears.To give a good final touch, add some cute hair accessories to complete the look. You can go for a high bun. To enhance the look, throw in some hair accessories around the hair. You could use colors that match your outfit and this gives a complete look. A high bun would especially complement people who are not very tall. It does add a few inches to your over-all look. Get a low bun and enhance it with accessories. As shown in the below image, get a princess-style low bun, get some sleek curls around the bun too. The base of a low bun should be around the nape of the neck. Add a single piece of hair accessory to complete the look. Such bun hairstyles look good on tall women, especially on those who have a long face. Remember, this hairstyle needs proper execution. If not, it may not give a desired over-all appearance. 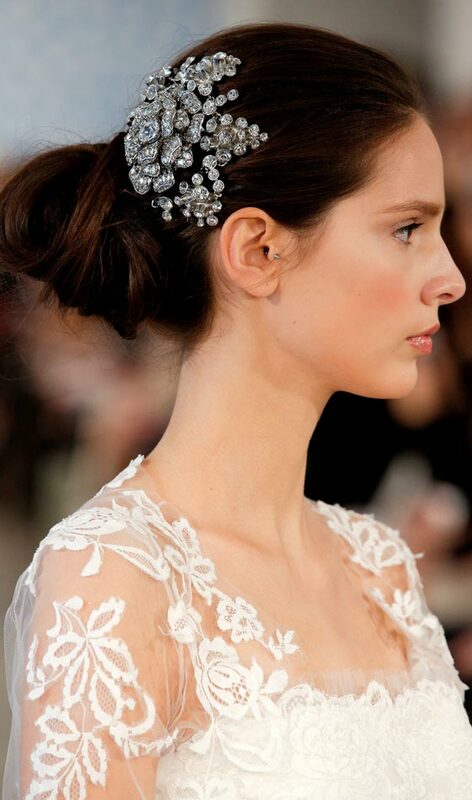 But this definitely a star bridal hairdo for long hair! If you are the bride, or a close relative, you can opt for a heavily jeweled plait. It would make your look stand out in the crowd. Adding hair accessories to the plait will give you that ethnic edge like no other. Moreover, brides can complete the look by adding a matha-patti and maang-tikka (on the forehead). The unique thing about this hairstyle is that this style can be worn even on occasions where you may need to cover your head with a veil. Depending on your taste, you can choose to flip the plait forward or backward. If you have short hair, to get such look, you could use a wig. Another hairstyle with curls, this one is a simple hairstyle. It goes well with bridesmaids. Curl the hair, and add a floral accessory on one side of the head. This style will look good on almost all face cuts and with all kinds of outfits. Another one for the bride! Wear your hair in a medium-height bun. Ensure that the top section of the hair is side-parted. Keep it simple, you can use a small maang-tikka popping out from under the side-parted hair. This style is suited for occasions such as engagement, sangeet, etc. If you wish, you can even cover your head while wearing this style. This can be a very ethnic yet different style for the bride. Wear your hair in a simple, low bun, and accessorize with a jhoomar on one side of the forehead. This style is a sure-shot head turner. It would look best with sharara/ garara type of wedding outfits. 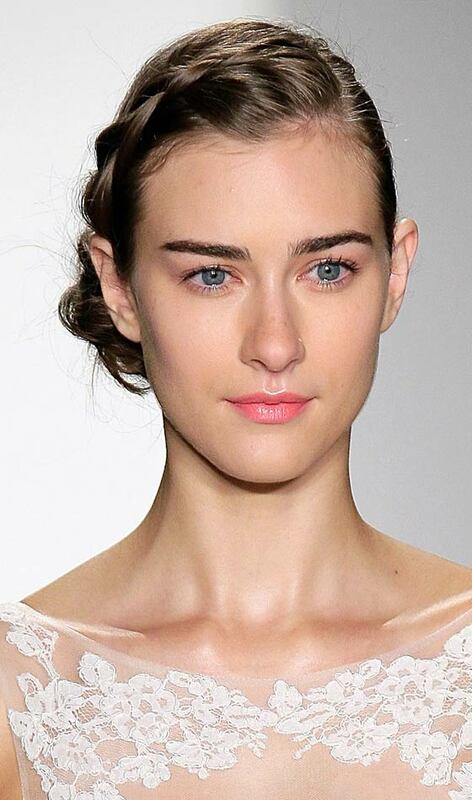 So, which one of these bridal updos for long hair are you going to sport this wedding season? Do share in the comments below.